Bringing an end to months of tense contract negotiations, Fox has finally renewed House, guaranteeing at least one more year of bizarre medical cases given obvious diagnoses, only to have the patient immediately relapse and, just before they die, be saved by an immutably misanthropic genius who is the only one smart enough to spot a missed clue as to their origin. 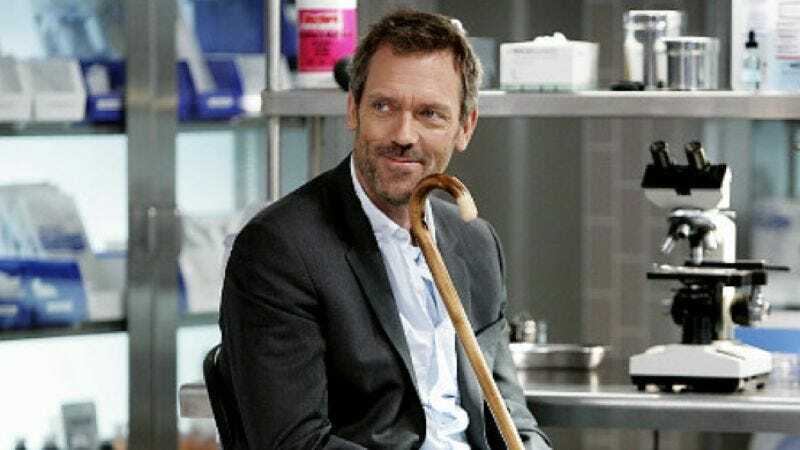 While not yet part of the deal, series creator David Shore is expected to return to finish what he started, and Hugh Laurie and co-stars Omar Epps, Lisa Edelstein, and even Robert Sean Leonard will be back as well, despite Leonard making earlier intimations that he’d like to bow out. Anyway, for as formulaic and in love with the reset button as it’s become in its later years, perhaps this set end date will spur House to up the consequences a little? Or maybe it will just allow them to burn off all the winking movie homage episodes and "guest stars who briefly challenge House's authority" plotlines they've been saving up.